In the 43 billion dollar weight loss industry, it is no surprise that people get drawn in to things like the LA Weight Loss Scams. For many, weight loss is an emotional issue that affects everything from health to self-esteem. Many believe they have tried everything, and are willing to go on to the next provider promising a fresh and successful approach to weight loss. Because of this, the industry is rife with situations like the LA Weight Loss Scams. LA Weight Loss diet centers advertise an affordable program, successful clients, personal counseling and a program that will pare away the pounds. On the surface, the program looks sensible - emphasizing portion control and healthy lifestyle. The company sells franchises into multiple countries, including the US and Canada. Franchise owners then follow the LA Weight Loss System for working with weight loss clients, and offer LA Weight Loss products to their clients. Are There LA Weight Loss Scams? In November of 2006, LA Weight Loss entered into a settlement with the State of Washington. The settlement resolved allegations that LA Weight Loss misrepresented program costs and made unsubstantiated health claims. This was the second time LA Weight Loss settled with the state for the same issues. According to Washington State Attorney General, Rob McKenna, "We sent secret shoppers to all 19 LA Weight Loss locations in Washington who witnessed a classic bait-and-switch routine in which employees pushed the sale of protein bars and nutritional supplements after consumers had enrolled in the program." According to an ABC network 20/20 investigation, LA Weight Loss lures new clients in with a promise of a low-cost weight loss program. New clients are given a questionnaire that asks not only health questions about weight loss, but also deeply personal questions about how weight affects relationships, emotions and other personal issues. In follow-up counseling sessions, counselors then use the information from the questionnaires to push expensive LA Weight Loss products and promising increased weight loss. The unsubstantiated health claims made about these weight loss products, like bars and shakes, were at the crux of Washington State's prosecution of the LA Weight Loss Scams. Additionally, the costs of these additional products are not disclosed in the advertising or at sign up, leading to allegations of a classic "bait and switch" scenario. According to the aforementioned 20/20 report, many employees of LA Weight Loss centers claim that they were taught the philosophy, "If it cries, it buys." Employees say that they were encouraged in their training to use the information gleaned from the client questionnaire to keep the emotional pressure on to sell additional product. LA Weight Loss Centers deny these allegations. Has LA Weight Loss discontinued the practices for which they were sanctioned in Washington State? The State of Washington continues to send secret shoppers to LA Weight Loss locations, and no new charges have been filed. While the principles of weight loss taught by LA Weight Loss - portion control, healthy eating, exercise - are sound, consumers entering the centers would do well to be aware of the hard sell of LA weight loss products. In most cases, no special products like bars and shakes are required for weight loss. Instead, in the absence of underlying medical issues, sensible eating, controlled portion sizes and exercise (all of which cost nothing) should be enough to get the job done. It's easy to get pulled in by promises of easy weight loss. Weight loss is a difficult thing, and for most, an emotional issue. Unscrupulous businesses prey on this, and the industry is rife with scams. How can you avoid being scammed? Below are some ways to recognize a potential weight loss scam. If you encounter these, do your homework and proceed with caution. 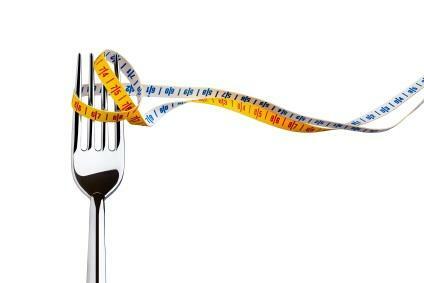 Promises of weight loss that is fast, easy or permanent. Claims are made with no scientific supporting evidence. Instead, the marketing relies on anecdotal evidence such as glowing testimonials from "satisfied" customers. Promises to spot reduce certain areas of your body. The use of "buzzwords" like secret formula or scientific breakthrough. If there was a legitimate scientific breakthrough, chances are you would have heard about it on the news. You can only get it through non-traditional methods - like on the Internet or through multi-level marketing only. As with every other scam, the best adage to keep in mind is, "If it seems to be too good to be true, it probably is."